Online schools are growing in popularity, with upwards of 500 such institutions currently operating across the country. Among the 50 states, Pennsylvania has the second-highest number of students taking classes online, with more than 40,000 enrolled. School districts without online programming are missing out on that growth in favor of alternatives that tend to operate under charter agreements. For districts, every student lost is a missed opportunity in terms of both revenue and talent. Shikellamy School District, located in the heart of the Susquehanna Valley, strives to reclaim online students through establishing a virtual school that allows students to work on courses 24/7 at their own pace with career-focused electives. Shikellamy Virtual Academy is powered by Edmentum’s online programs, Courseware and EdOptions Academy, to provide research-based instructional design content. After having success working with Edmentum for Shikellamy’s existing credit recovery and summer school programs, the district decided to establish its first full-time online academy in an effort to recapture students it had previously lost to other online programs. Online schools are on the rise across the country, but they are a particularly popular option in Pennsylvania. One district sought to bring online students back under its wing through an innovative cyber academy powered by Edmentum’s online Courseware and fully virtual EdOptions Academy that blends adaptive, diverse coursework with the personal care and attention that in-person education provides. The target launch date for the Shikellamy Virtual Academy was the 2017–18 school year, and it was made available to students from grades 6 to 12. But, before then, the district had to market the new option with some savvy public relations and outreach. Through those conversations, Attinger developed a holistic approach to online education for Shikellamy Virtual Academy. Chromebooks are issued to every Shikellamy Virtual Academy student so that students are able to work from anywhere, but a space in the high school was also designated as a full-time lab for students who prefer the structure and interaction of an in-person setting. This lab helps create personal connections, something that students returning from other online schools said those programs were lacking. It also eases concerns of parents who work full time. Shikellamy Virtual Academy students are students of the district and have the ability to participate in clubs and sports, just like traditional students. The Shikellamy Virtual Academy also hosts quarterly socials and field trips so that students can maintain social connections and practice interpersonal skills. One area that online schools frequently struggle with is special education. Many of the district’s students work under Individualized Education Programs (IEPs), so addressing this issue was a priority in the development of Shikellamy Virtual Academy. 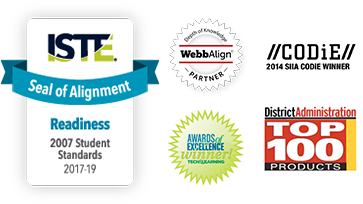 Edmentum’s adaptive Courseware leveraged by the program helps provide the differentiation those students require. Shikellamy Virtual Academy also features a certified special education teacher as a lab aide. The students appreciate the regular communication and availability of the online teachers in combination with our lab teacher. Parents feel confident knowing the lab is a safe place for their child to be. The 2017–18 school year was Shikellamy Virtual Academy’s first year in operation. The program enrolled 78 students, some of whom were returning to the district after having left for other virtual options. The district was paying upwards of one million dollars to educate [students in other online schools]. Now that figure has been cut in half, perhaps more. The focus at Shikellamy Virtual Academy is attaining college and career readiness. Attinger and his staff are confident that the wealth of course options in their Edmentum products, including electives, career and technical education options, and Advanced Placement® courses, will allow them to craft individual learning paths designed to give students the skills they will need for their chosen career pathways.